Yesterday I wrote a post “From Monograph to Multigraph: the Distributed Book,” discussing ideas for more networked, disaggregated modes of scholarly book creation and use. Thank you, but it has already been signed to Univ. Chicago Press as a e-single through BiblioVault for 2014, and is no longer online. But I jest. Toootally available. Together these examples show a field of contesting avant-gardes and notions of what a book is or should be; a complex mixture of revolutionary boldness, establishment sophistication and recuperation; and continuing deep attachment to the authority of print publishing. I was helpfully pointed to this by Janneke Adema, PhD student in Media and Communication at Coventry University, UK, creator of the Open Reflections weblog, and former researcher on the OAPEN project for open-access humanities books. Thanks Janneke! a collaborative book project.. [on] Europe in the 18th and 19th centuries…how individuals interacted with printed matter, how they used print to interact with each other, and how print itself interacted with handwriting, illustration, sculpture, the theatre, musical performance, public readings, polite conversation, etc. to challenge how we as scholars write.. ultimately taking the form of a printed book, but one whose creation utilizes the collaborative tools of online communication. the aim of the multigraph is to address… dual problems of coherence and scale. It combines the multi-perspectival nature of the edited collection with the unified vision of the monograph. In so doing, we think the fusion of print and digital media will prove in the end to offer a substantial contribution to how we as academics think and communicate. we believe that the ability of print to order, shape, and fix an argument is essential to the mission of the humanities. Humanistic ideas are meant to be durable…We want to argue for the importance of the intellectual stability and accessibility that libraries have stood for and that we do not yet see replicated online. Now admittedly, I’m probably more on the bomb-throwing, barricade-storming, dispossessed wing of the revolution, compared to the McGill reformist ancien régime. Not having a seat at that table, I’m naturally with the disruptors; and besides, it’s in the water, where I live. Nonetheless, I appreciate and actually mostly agree with the Interacting With Print group’s project of bridging context to text – studying how live and popular arts surround and become books, and how electronic context can form and inform print. This matches my conception of monograph as “state or frame for a network of activities” — with perhaps one or more final, authoritative, durable states, perhaps in print. 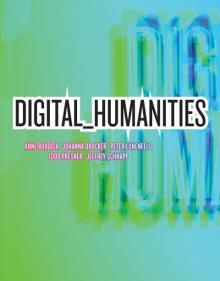 Speaking of polemical opportunities, the McGill group’s project reminds me of the recent MIT Press book Digital_Humanities, by Peter Lunenfeld, Anne Burdick, Johanna Drucker, Todd Presner and Jeffrey Schnapp. This addresses a field (Digital Humanities) figured as an avant-garde, and presents itself as formally progressive and exemplary of the topic, for example by being collaboratively-authored and asserting a visual form as inherent part of its content. On the other hand, the book and project are notably establishment in many ways: the authors are all well-known, senior faculty at prestigious institutions — Stanford, Art Center, UCLA, Harvard — work was done with grants from major foundations, the volume is from a leading university press, it is offered online in a monolithic PDF reproducing the print layout, really not digital-native, etc. We also wanted the book’s design to be integral to its writing, to acknowledge the inseparability of form and content. Acknowledge, not argue; inseparable, not just reinforcing. The revolution now has revolutionary maxims! Some are more equal than others! The model we have created is experimental. It moves design—information design, graphics, typography, formal and rhetorical patterning—to the center of the research questions that it poses. It understands digital and physical making as inextricably and productively intertwined. I would suggest this is actually a view rooted in century-old, Modernist art, design, and poetry, and modernist-rooted art/design discourse (e.g. 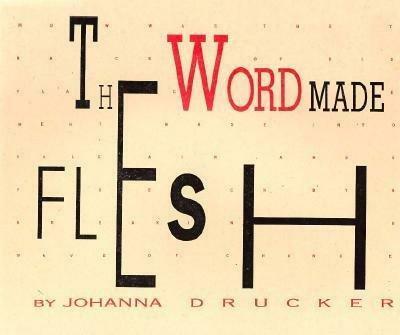 Johanna Drucker’s work); whereas the main currents of digital culture have been decisively in opposition. Physical form? That’s precisely what digital media doesn’t inherently have, and what the World Wide Web was precisely designed to make separate from “content,” with HTML. 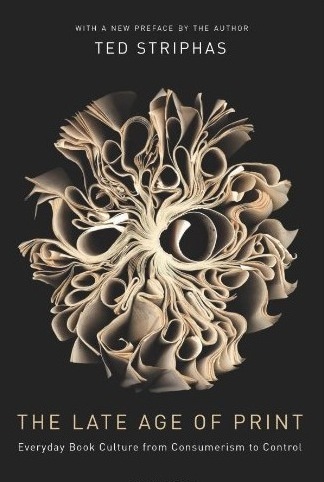 Now, I greatly admire Drucker and her work, (disclosure, she was an undergraduate academic advisor to me), but I think the modernist doctrine of text+image inseparability has just got to come out and play more with the vast text-encoded, shape-shifting digital flux. As a practical matter, anything that is not designed to flow for different formats and devices is an outlier and comparatively unmarketable in digital publishing. It also tends to strike users as archaic and unusable — for example, a monolithic PDF file replicating a print book, with 2-column text, basically mobile- and ereader incompatible. Doing a little sociology of knowledge here, and some deconstructive reading, one might observe that the McGill and MIT Press book projects are speaking from the center, not from a disruptive fringe. They’re offering, as Christensen observes incumbents often do do, sustaining innovation, perhaps in the face of disruptive innovation (what the loud people, outside the walls claim to have) — or even, they are in a sense recuperating the new: an Old Left seeking to reclaim and certify its avant-garde status. They also suggest the powerful ongoing attraction (“charismatic power”) that print publication has for senior & establishment faculty in the humanities — which is to say, the people who make decisions about what new work and faculty to hire or support. Thus an old guard, or print-academic complex may prolong the status-signification of print long after its economic logic or cultural vitality erodes. 3. 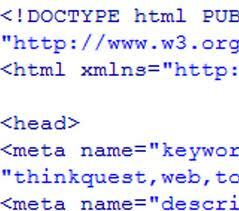 Debates in the Digital Humanities (2012-13): they’ve got the guns, but we’ve got the numbers. 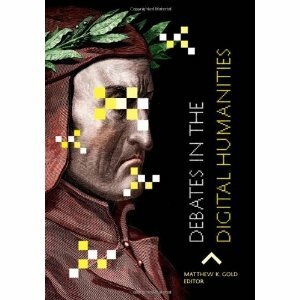 If the MIT Press book cabal is the Old Left, today’s New Left might be ably represented by the just-unveiled online edition of Debates in the Digital Humanities, edited by Matthew Gold, now of CUNY Graduate School. It extends an already commodious 40-contributor, multi-genre print edition into an extensible, online environment with advanced sentence-level commenting and navigation, and a crowdsourced index, and plans to continue expanding with new content. From my experience in scholarly publishing, I would note that, aside from any aesthetic, philosophical, or moral arguments, developing books into such extensible, open, and ongoing projects is also good business sense. A key factor in the scholarly monograph crisis is the high fixed costs, risk, and development time for traditionally 1-off book projects, compared to their small or zero continuing revenue. University presses are highly interested in how to turn books into more extensible, scalable communities and activity/revenue flows — to contain or host more of the context, so to speak. So I’m with the open Debates in the Digital Humanities, rather than MIT Press’ closed Digital_Humanities. For one thing, if I’ve been left out of the old regime, I favor the regime that still has seats left at the table. The new digitally-native, open book might redraw the text-context boundary more widely, fluidly — broaden the franchise, open the graph — and live.